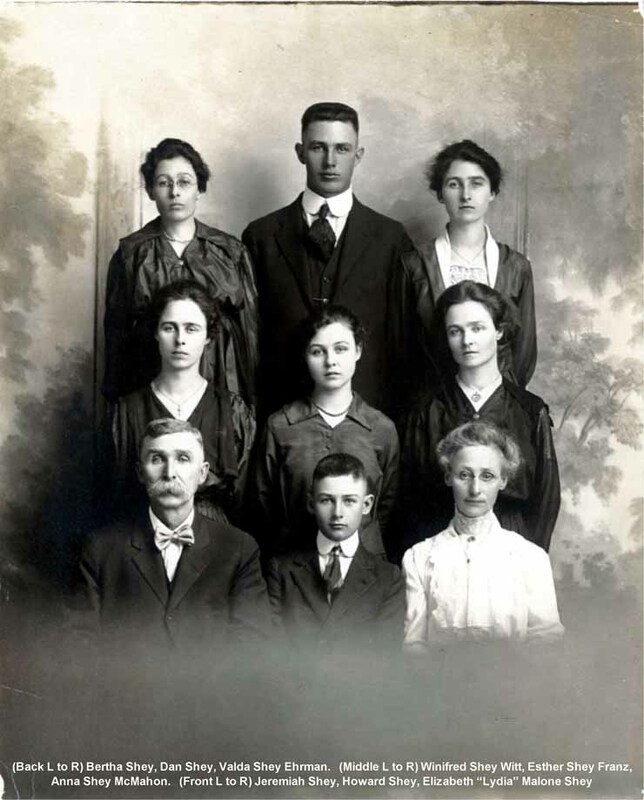 Back row, from left to right: Bertha Shey, Dan Shey, Valda Shey Ehman. Middle row (L to R): Winifred Shey Witt, Esther Shey Franz, Anna Shey McMahon. Front row (L to R): Jeremiah Shey, Howard Shey, Elizabeth "Lydia" Malone Shey. Contributed September, 2016, by Carl Malone.